I get to tell you all about our new Tuesday Trigger challenges. Each month we will have a theme and then each Tuesday a challenge will be based off of that theme. For the month of September our theme is "back to school". Your newly created LO must contain 4 circles, 6 pattern papers, and 10 flowers. Here is what I created using Simple Stories Vintage Bliss. Don't forget to leave a comment on each of the DT's blogs and then head back over to My Scraps and More's blog to let us know you have completed the hop. You have until Sunday September 1st at midnight EST to leave your comments. You will then be eligible for the random drawing for Echo Park's Paper & Glue Collection. We hope you will come and play along with us on the message board for all the fun challenges in the month of September. There is always something going on over there. To thank you for stopping by my blog become a follower if you are not already and leave a message in your comments letting me know. 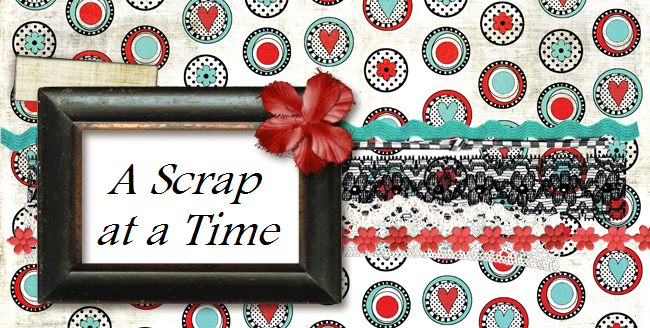 I will draw a random winner for a $10 gift certificate to My Scraps and More. Now hop on over to Lisa's Blog and find out all about Word Up Wednesday. adorable layout! that is a lot of flowers but I will give it a try! tfs! What a great layout, I love everything on it. The trigger challenge is really going to be something new and fun. thanks for sharing..
Forgot to add that I'm already a follower of your blog. Oh Tracy this is just adorable! I love the strips over the photo and your distressed circles! Great layout! I like how you used math as your ubject. Great job incorporating all the elements of the challenge. I love this paper line. I'm a new follower as well. What a great challenge! You did a great job with all the elements needed! 10 flowers though! I will give it a try! what a fun challenge and beautiful work as always!!! fun page. Like the paint splatters. great challenge. Wow! I love this page! Great challenge and I am already a follower! Tough challenge! but what a beautiful layout. Your layout is just adorable! Love how you incorporated all the elements of the challenge! I love your work and I am already a follower of your blog! lovin the fun math challenge, great page!!! love the splats and fun details!!! Fun challenge! Funny, growing up I alway had this mental image that pink+ yellow =10. I don't know where it came from, but it was always in my head..... Love your LO and the challenge. I am a follower. So happy to already be a follower and can't wait for this challenge it will be fun great layout! Your LO looks awesome, Tracy!! Love the colors and patterns!.. I love flowers so this part of the equation will be easy. Great challenge! What a fun challenge! Love your product choices on your layout! Very cute! This is awesome, Tracy! I love your clusters, the distressed circles...the strips...it's all awesome!! What a cool idea......love that you used a math equation, that's awesome!! Your page is super cool too!! Love your math equation Tracy and your layout is adorable! What a fun happy page! Love the colors and the flowers! I love how you managed to incorporate 6 patterned papers with overwhelming your layout at all! I love your white space on here, really pretty! One of my most favorite collections! Love your pae! Cool pp and color combination.! Love using circles. Becoming, a member. Love your page. Glad I found this hop. What a neat challenge. how fun! excited about the new challenges! Omgosh what a fun but challenging challenge! Love your page, it is beautiful. fab page, great layers, clusters and design along wit fun math equation.. love the theme for Sept. Fantastic and awesome design! Love the Math equation as Math is my FAV, too! I am going to try this one! Cute, cute, cute! Unique approach to a challenge and I love it. Your work is beautiful. I think I'm going to have to find that Vintage Bliss to add to my stash. Love the layering of the circles and all those florals! Very nice page! I'm already a follower! Darling layout Tracy! Love the little cluster at the top and the fun circles on this. Fabulous! Oh, and I'm already a follower. Really pretty LO. Love the colors. How lovely of you to offer blog candy, too! I am a brand-new follower by Google! Yippee!!! Love the design and colors. Great challenge and your page looks great! great challenge and layout look great..